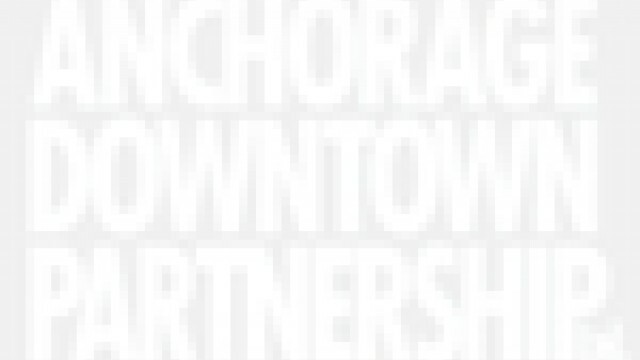 Trick or Treat Street - Anchorage Downtown Partnership, Ltd. Trick or Treat Street is a FREE & FUN event for families and children to trick or treat from business to business in downtown Anchorage in a safe and friendly environment. Join us on Saturday, October 29th from 12:00-4:00pm for trick-or-treating from business to business in downtown Anchorage! Skinny Raven Frightening 4K Run & Costume Contest! Free Kids Hot Chocolate for kids in costume! Store Discounts and SO MUCH More! This is an outdoor event. 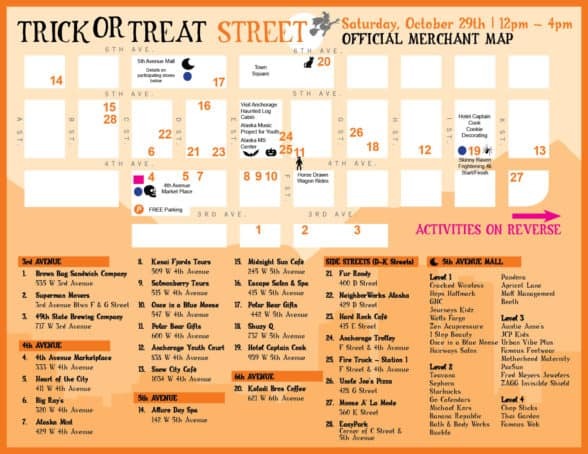 Trick or treating will be from door to door, business to business, along 4th, 5th & 6th Avenues between C and L Streets. Here is the official Trick or Treat Street Participating Merchant Map! Download to print or save on your phone to follow the day of the event! The map will also be featured on the back page of the Anchorage PRESS! The numbers represent candy stops at each participating merchant while the critters point to the FREE activities for kids! .Jpg’s of the Map are below to download to your phone or to share on Social Media. Skinny Raven Frightening 4K Run & Costume Contest. The run starts at 11am, followed by a costume contest at 12noon for participants in the run to help kick-off the Trick or Treat Street activities! Dress up, run and win LOTS of prizes! 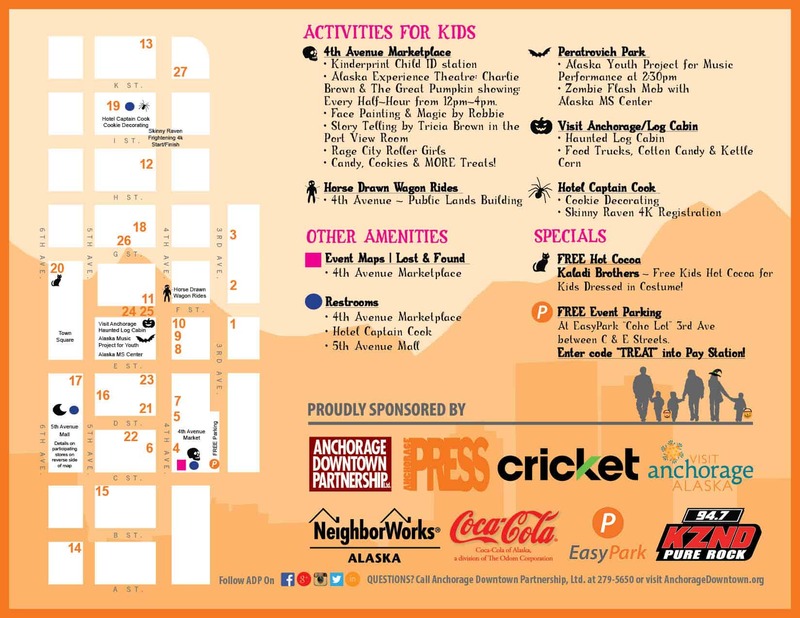 Trick or Treat Street is brought to you by Alaska Integrated Media, Odom Corporation, Anchorage PRESS, Visit Anchorage, and Anchorage Downtown Partnership!